Awesome buck. Those main beams go on for days. 7 inches in Adamsville so far. Thanks for the update. 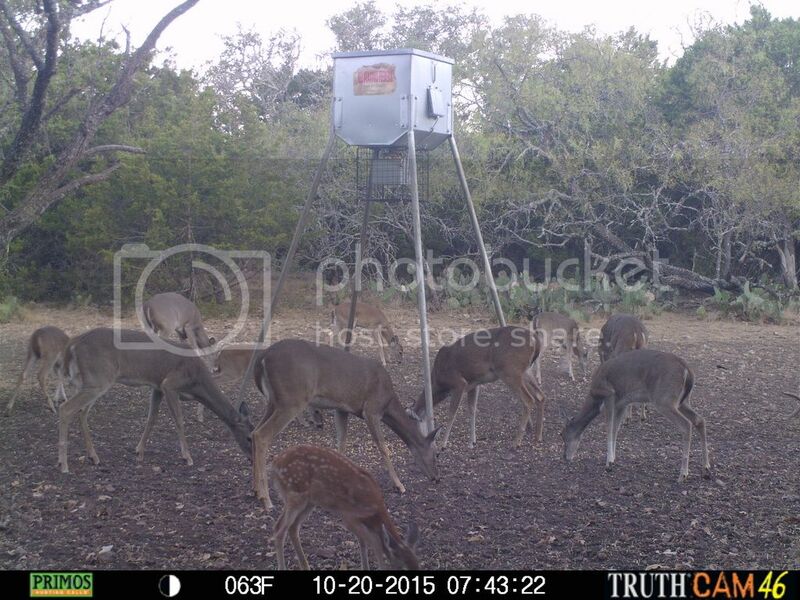 We hunt real close to Topsey. This is a new lease for us and we have no idea what potential is coming to our feeder. 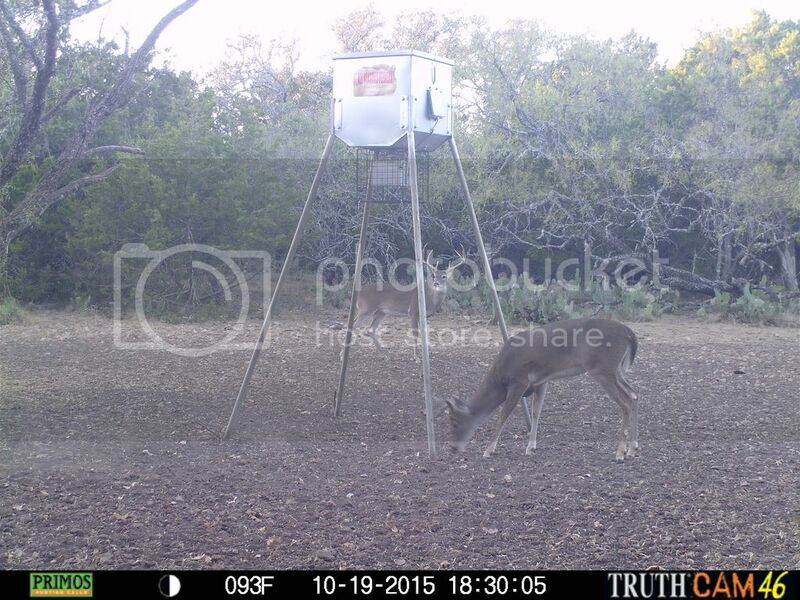 I want her to get a good buck for her 1st deer so I'd like to know what all is showing up at the feeder. I think it'll probably drive me crazy if I don't. Just hit eight inches of rainfall two miles south of Nix on 580. I think I can make it where I need to go on my 4 wheeler. And if I can't, it's not to bad of a walk from the road. Did anyone go hunting today?? How was the movement? How much did it rain in Lometa this weekend? I live about 9 miles south of Lometa around Nix and we got just under 9 inches total for the week. Enough to completely refill the ponds and overflow the pool. More rain headed this week. AccuWeather claims another 3 inches at least. Only can tell once it gets here. 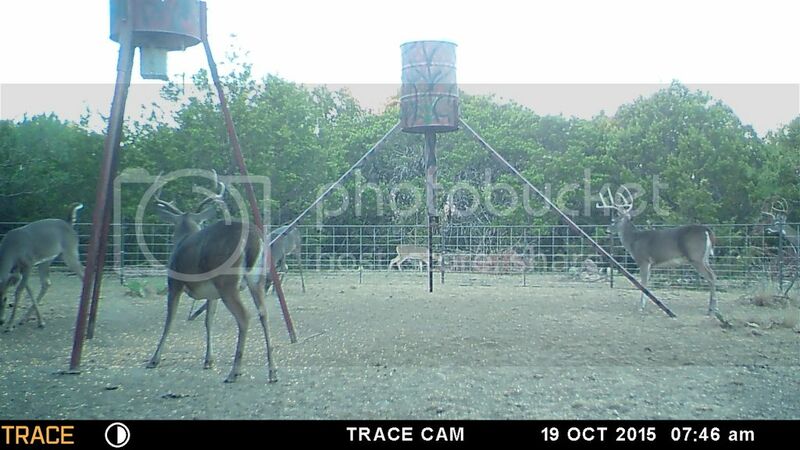 Well...I don't know if any of y'all use Facebook but BJ herring just put a video on central Texas bowhunter of two bucks fighting in his backyard and not gently they were in full blown kill mode!! Go check it out and he lives in Lampasas. Can you copy and paste it? Is he in Lampases Co? Thought he was around Clifton area? Wow that is an awesome buck congrats to you!!! Braved the rain and mud this weekend to fill feeders. Tanks caught good water and everything looks great! Wouldn't have gotten anything done without the four wheeler. Been raining here south of Nix since 5:40 this morning. Been steady here only .60 inches so far, heard Lometa and Bend over an inch. Well....the rut is on!!! They were chasing hard Friday. So has anyone got a deer recently? Saw a buck on lockdown today. 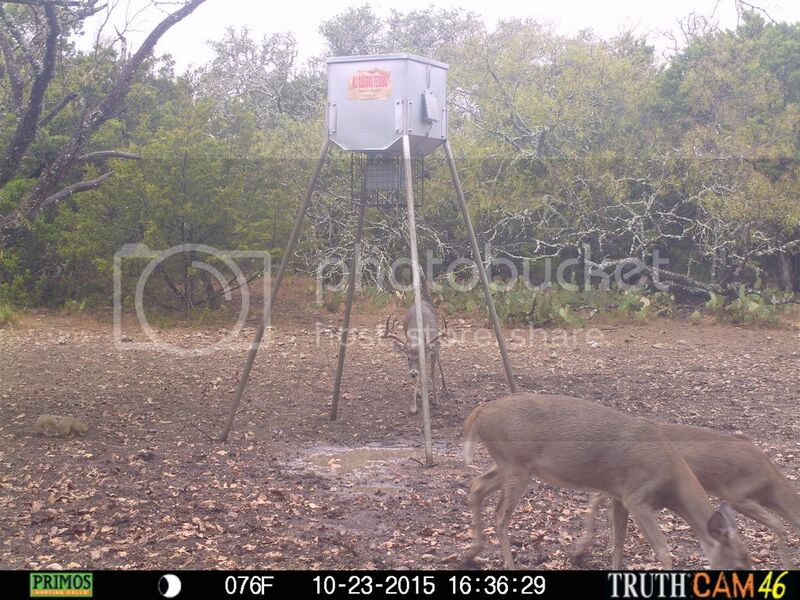 Man, all my bucks are disappearing. 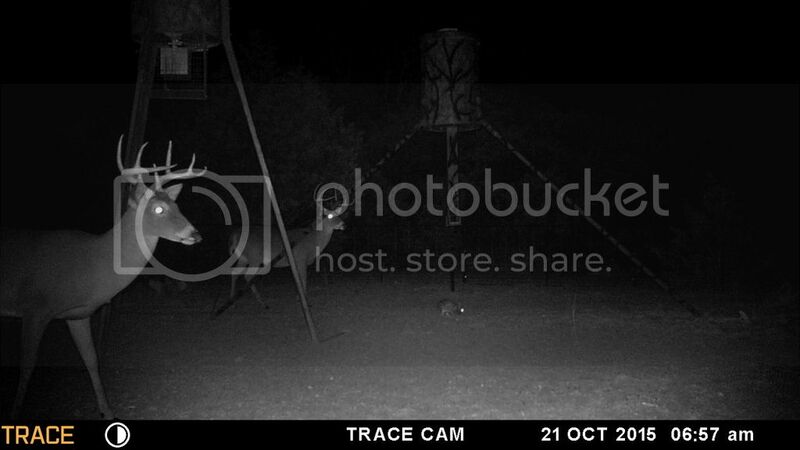 Was seeing 2-3 bucks a sit. Nothin but yearlings and a few resident does here lately. Any one else seeing this? Anyone hunting today? Slow morning and afternoon starting the same way. One buck just crossed and that's it. Bucks still responding to rattling? Still chasin a bit? This is my first trip back since opening weekend of bow season. Anyone have anything to report? As of last weekend still chasing with little activity on feeders. This was from Tuesday evening. He came out with 9 does and a little fork horn deer. He was the first buck I had seen since Saturday evening. Came out about 4:45 and tore up a cedar bush on his way into corn. Well deer season is over....time to start killing pigs!! !